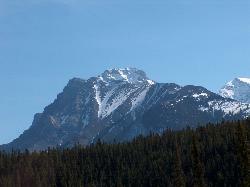 Mount Aylmer is a significant peak in the Palliser Range of the Canadian Rockies near Banff, measuring 3162 m, 10375 ft. Its proper name is Minnewanka Mountain [pronounced men-a-won-ka] or Spirit Mountain. It was first climbed in 1890 by JJ McArthur, a resident of Aylmer, Quebec. The climb is rated as a moderate scramble from the SW, around 5000ft of climbing from the a campsite at Lake Minnewanka, so just within my abilities – roughly on a par with the Carn Mor Dearg approach to Ben Nevis, which I climbed in 2012. There’s an excellent record of an ascent by Bob Spirko. 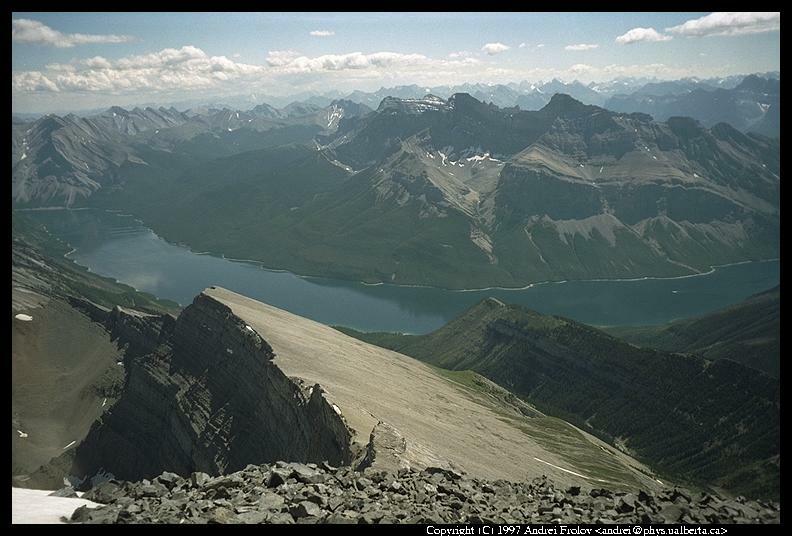 “Mt Aylmer is located above Minnewanka lake, some fifteen kilometres from the Banff townsite, in Alberta, Canada. … It is the highest peak in Banff National Park, and so has a grand view from the top. You can see all the twenty-kilometre stretch of the Minnewanka lake, and rows upon rows of mountains in the Front Ranges and Great Divide. I thought I spotted familiar shapes of mountains near Lake Louise (about 50km away), but maybe lack of oxygen made me imagine things. The climb is physically demanding (with 1600m elevation gain in a day), but not technically complicated. 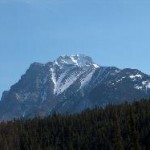 For more information and photography, see the Canada’s Mountains and Peaks of the Candian Rockies websites.